Lightingzilla offers 110% Low price match. To receive our 110% Price Match Guarantee, please email to info@lightingzilla.com the URL Web address of our competition showing the details of the product and their advertised price. We will review the information and determine if and by how much we can price match the item. If you find an identical and new item at a lower price anywhere else on the internet, you only have to show us that price when you buy at Lightingzilla or within 14 days from your purchase at Lightingzilla and we will respect the lowest price. 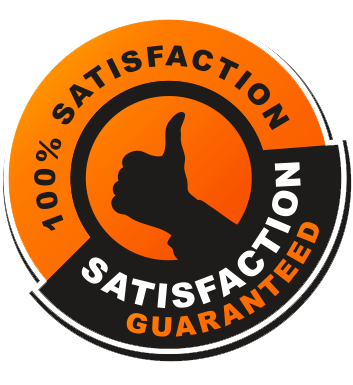 All items on our website are subject to this guarantee. The item shown to us must be in-stock and available for purchase at that price from a company located in the U.S. who is authorized by the manufacturer to sell the product. Lightingzilla will match these prices only against prices found on competitor's websites. Charges for shipping and handling are included. However the competitor's website must supply a proof the shipping and handling charges because we will not call and confirm these charges. You must provide a proof of the total purchase price to Lightingzilla. This proof can be either a fax of the final screen or a screenshot. These proofs must show very clearly the total purchase price that includes the shipping and handling fees. Before you fax or e-mail your proof you must contact us by e-mail or phone to obtain a price-match-authorization. Your proof must clearly identify the final purchase price, URL link and date. We will not consider any faxes or e-mails that are not authorized or are unsolicited. We will not consider proofs that are incomplete. We, Lightingzilla reserve the right to check another company's availability of the product and price before authorizing the price match guarantee. We also reserve the right to limit the price to only those retailers who are authorized by the manufacturer to sell that product and who are in compliance with the documented terms and conditions provided by the manufacturers. We will calculate Lightigzilla's net price for the item with all available coupons, offers and rebates. We only offer price matching for business delivery addresses only for selected manufacturers. These excludes Minka Aire, Minka Lavery, Minka Great Indoor, Minka Metropolitan and George Kovacs. We will match most items on our website. We will not match items that are sold at competitor's special events, like grand openings, anniversaries, or liquidation sales. We cannot match closeout items or discontinued items, items auctioned or factory direct type items, or big box stores such as Home Depot. We won't match typographical errors and California taxes.